One night some mischievous Fijian ghosts stole the mountain from the island of Mamanuka, leaving a hole that is now a lake. The ghosts started pulling the mountain across the ocean and when they passed Cicia, Emori, the Great Shark Spirit, saw what they were doing. Emori sent his matapules to go near the ghosts and crow like roosters to fool the ghosts into thinking it was almost morning so they would leave the mountain and hurry home. But, when they heard the crowing, they said to themselves, "Hurry, it is almost morning" and they started to pull the mountain even harder. 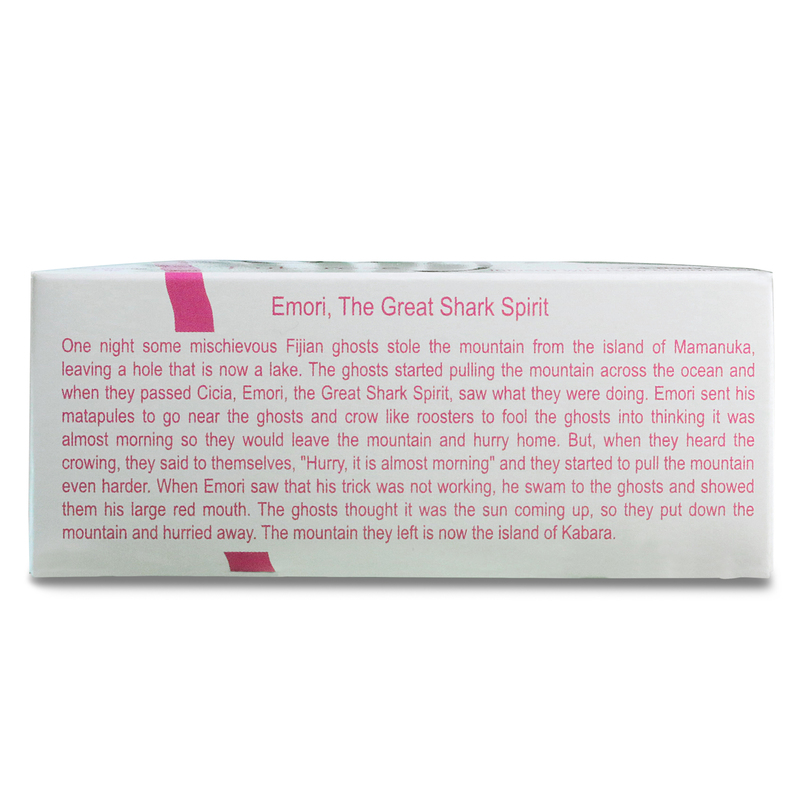 When Emori saw that his trick was not working, he swam to the ghosts and showed them his large red mouth. The ghosts thought it was the sun coming up, so they put down the mountain and hurried away. The mountain they left is now the island of Kabra. 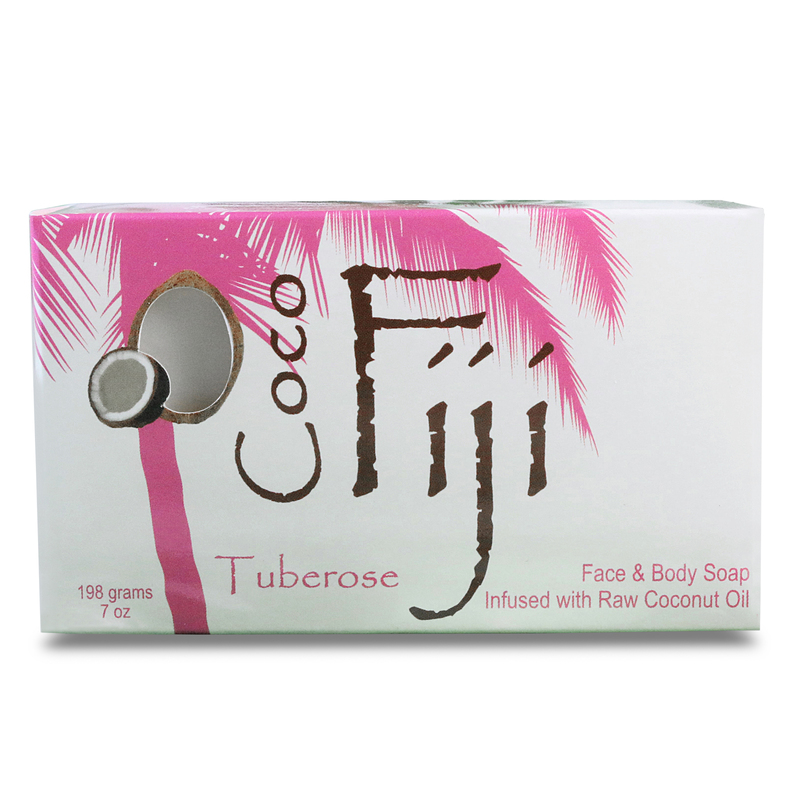 Touched by the perfect balance of sunshine, rain and tropical nutrients, the Fiji Islands grow Earth's finest coconuts. 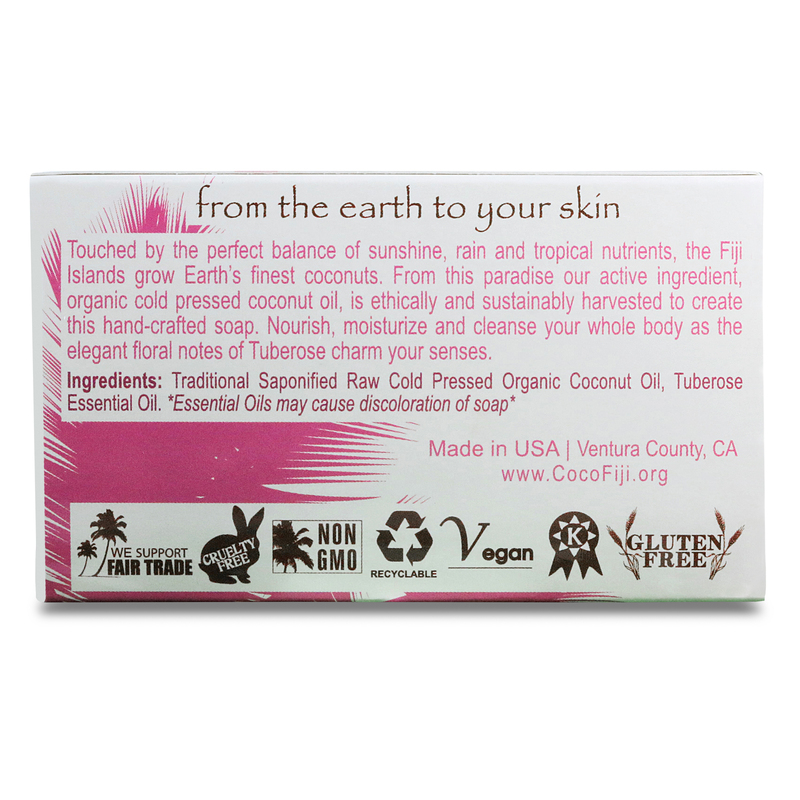 From this paradise our active ingredient, organic cold-pressed coconut oil, is ethically and sustainably harvested to create this hand-crafted soap. Nourish, moisturize and cleanse your whole body as the elegant floral notes of Tuberose charm your senses. Traditional saponified raw cold pressed organic coconut oil, tuberose essential oil. *Essential oils may cause discoloration of soap.